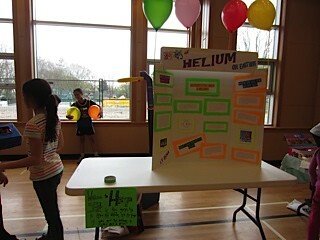 On Friday, April 26, Lord Kitchener culminated its week-long festival of Earth Week events in the gym with a fun-filled and informative Eco-Fair. The entire school came out to take in more than 25 booths that featured information, activities, crafts, games, snacks and prizes. The booths were created by individual students, classes, families, the PAC Sustainability Committee and the City of Vancouver. Eco Fair organizer Christina Shorthouse says a huge thank-you needs to go to teacher Julie Mann for all her efforts in organizing and for her leadership with Kitchener's GLOBE Group (Greater Love of Our Beautiful Environment) Environmental Club. The week's events included Wear Green Monday, Trashless Tuesday, Walking/Wheeling Wednesday and Light's Out Thursday. The week kicked off on Monday with a recycling assembly presented by the GLOBE Group. Tuesday also featured Kitchener's first annual Bike Rodeo.